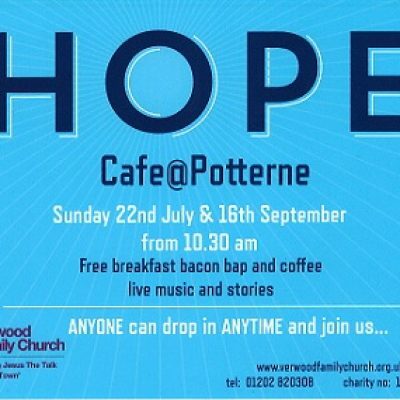 We look forward to welcoming any visitors to Potterne Park to our two Hope Cafe events. 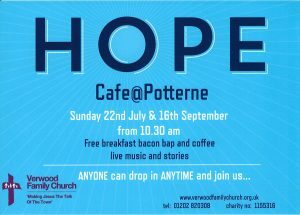 Drop in on a Sunday morning (22nd July & 16th September) and get your free breakfast bacon bap and coffee served from 10.30am. Enjoy the live music and stories on offer. Suitable for families and singles of any age. Church in the Sun 2018!